Linda has traveled in Venezuela, Peru, Brazil, England, Norway, France, Switzerland, The Netherlands, Yugoslavia, Turkey, Ethiopia, Kenya, Egypt, Australia, Japan, Canada, Mexico, the Yucatan and Puerto Rico for research and productions. 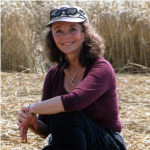 Linda Moulton Howe investigating the barley stem anomalies in the North Down, Wiltshire, England, crop formation on July 30, 2003. Image credit: © 2003 by Robert Hulse. 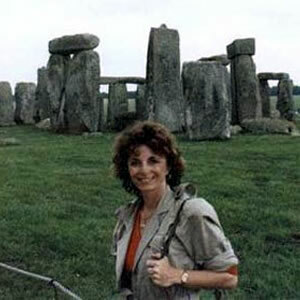 Linda Moulton Howe is a graduate of Stanford University with a Masters Degree in Communication. She has devoted her documentary film, television, radio, writing and reporting career to productions concerning science, medicine and the environment. Ms. Howe has received local, national and international awards, including three regional Emmys, a national Emmy nomination and a WCVB Boston Station Peabody award (medical and science programming). Linda produces, reports and edits the award-winning science, environment and earth mysteries news website, Earthfiles.com, honored with a Web Award for News Standard of Excellence, a W3 Silver Award in the news category, an Award for Standard of Excellence presented by the Internet’s Web Award Association and Encyclopaedia Britannica Award for Journalistic Excellence. Her monthly 3-hour radio news reports about science, environment and earth mysteries are broadcast on Premiere Radio Networks Coast to Coast AM throughout North America. She also produces radio broadcasts for Whitley Strieber’s Dreamland Online. Linda has been interviewed for all seasons 2009-2012 of the TV series, Ancient Aliens, broadcast on the History Channel. 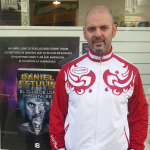 Linda has written four books: Mysterious Lights and Crop Circles, 2nd Edition, © 2002, about eyewitness accounts and the scientific research of biophysical and biochemical changes in affected cereal crops by complex energy systems; An Alien Harvest © 1989, about the worldwide animal mutilation phenomenon; Glimpses of Other Realities, Volumes I and II © 1993 and 1998, about U. S. military, intelligence and civilian testimonies concerning non-human interactions with Earth. 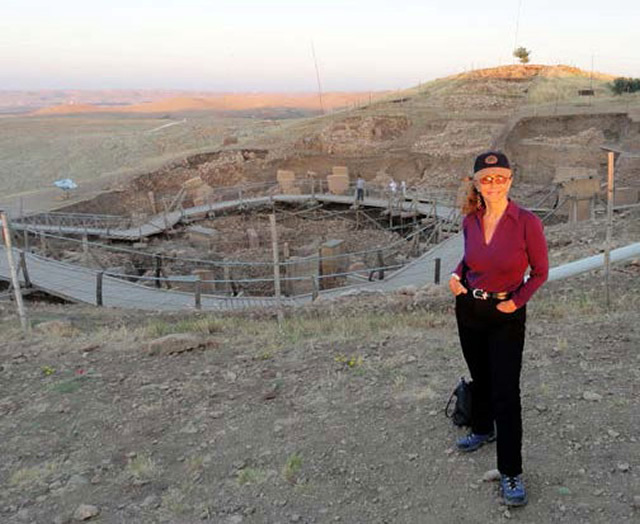 In October 2013, Linda was videotaped for more segments in The History Channel series, Ancient Aliens, produced by Prometheus Productions, Los Angeles. 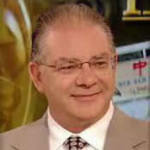 Linda has participated in the Ancient Aliens TV series production since its first season in 2008. 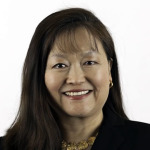 In May 2013, Linda participated as a journalist witness before several retired U. S. Congressional representative panelists in the 2013 Citizen Hearing at the National Press Club, Washington, D. C., produced by the Paradigm Research Group . Her topics were military and intelligence eyewitnesses and physical evidence that confirm the interaction of non-humans with Earth suppressed by a U. S. policy of denial since WWII. In April 2013, Linda was honored with the first Lucius Farish Foundation award for excellence in research and productions concerning the UFO phenomena at the 26th Annual 2013 Ozark Conference in Eureka Springs, Arkansas. In June 2012, Linda traveled as a reporter with Robert Schoch, Ph.D., Geologist, Boston University, who led a group to Turkey and specifically to the 12,000-year-old Gobekli Tepe that astonishes archaeologists. 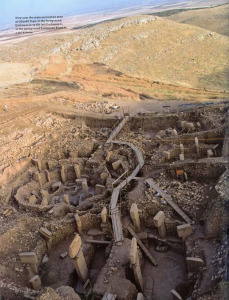 Linda reported about the ancient, mysterious site referred to as the oldest “cathedral on a hill” known to humankind in a 6-part Earthfiles series and in radio reports for Coast to Coast AM and Dreamland. In 2011, Linda traveled nationally and internationally to speak at several conferences about government leaked information concerning extraterrestrials, time travel and self-activating software and machines. She was hosted on a speaking tour in Australia from Perth to Melbourne to Sydney to the Sunshine Coast and the 2011 International NEXUS Conference. She was a keynote speaker before the audience of 1,500 at the Open Minds Conference in Phoenix, Arizona, on February 25, 2011. In 2011, Linda also spoke before the 23rd annual Eureka Springs UFO Conference in Arkansas on April 9, 2011; presented her investigation of the RAF Bentwaters-Woodbridge military phenomena at the 1st annual Jackson, Mississippi UFO conference in the Jackson Convention Center; spoke about “E.T.s, Time Travelers and Self-Activating Machines” for Whitley Strieber’s Dreamland Festival in Nashville on June 25, 2011; was the featured speaker in an Australia tour of Perth, Adelaide, Sydney and the Sunshine Coast NEXUS Conference for most of July 2011; spoke before the International MUFON Conference in Irvine, California on July 31, 2011; and presented at the Pennsylvania MUFON Conference in Philadelphia, Pennsylvania, on October 15, 2011; the Philadelphia Cosmo Club on October 17, 2011; and Friends of the Institute of Noetic Sciences (FIONS) in New York City on October 22, 2011. 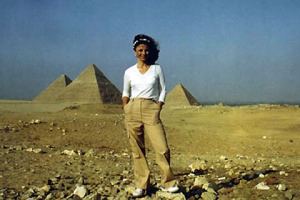 Linda Moulton Howe in Cairo, Egypt on the Giza plateau where the great Cheops pyramid rises with its companions, Kephren and Mykerinos. In 2010, Linda was honored with the Courage In Journalism Award at the National Press Club in Washington, D. C., by the Paradigm Research Group’s X Conference. In December 2010, Linda traveled with Prometheus Productions, Los Angeles, to RAF Bentwaters-Woodbridge in England for Ancient Aliens TV production about the December 1980 mysterious lights, beams and missing time of military men involved during a 72-hour-period between midnight December 26 and sunrise December 28, 1980, with technologies of unknown origin. In September 2010, Linda was a featured speaker at a Mist Productions conference about the science of crop formations in Sao Paulo and Rio de Janeiro, Brazil. In January 2009, Linda spent two weeks in Costa Rica to research environmental restoration projects; in July to August 2009, Linda spent three weeks in Wiltshire, England, to investigate crop formations, report a live 3-hour radio broadcast for Premiere Radio Networks in the U. S., and to participate in a Brazil documentary production about the crop phenomenon; in November 2009, Linda was videotaped in Roswell, New Mexico, for the History Channel TV series, Ancient Aliens. In October 2008, Linda was videotaped in New York City by RAI-TV, Italy, for a broadcast special about unusual aerial phenomena. In 2006, Linda was the on-camera field investigator of a Montana cattle mutilation for a Canadian television special, Best Evidence. She traveled to England for other field investigations of the crop formation mystery and to do science news interviews at Cardiff University for Earthfiles and Premiere Radio Networks. In 2005, Linda participated in the Canadian documentary, Star Dreams, produced by Genesis Communications Corp., about the global crop formation mystery. In August 2004, Linda was on-camera field investigator for a History Channel program about an unusual cow death in Farnham, Nebraska. Linda also traveled to Florence and San Marino, Italy, to speak about her earth mysteries investigations. She also produced and reported Earthfiles segments for Comcast Cable broadcasts in San Francisco and Los Angeles. In 2003, Linda investigated mysterious light phenomena in Corguinho, Brazil, and England. In 2002, she traveled to Norway to join astronomers, physicists and engineers in the study of “thermal plasmas of unknown origin” in the Hessdalen Valley. In 2001, Linda traveled to Hong Kong and Laos to investigate “tall wild men” reports for The Discovery Channel television series, Modern Mysteries of Asia. Linda’s Emmy Award-winning documentaries have included Poison in the Wind and A Sun Kissed Poison, which compared smog pollution in Los Angeles and Denver; Fire In The Water about hydrogen as an alternative energy source to fossil fuels; A Radioactive Water about uranium contamination in public drinking water in a Denver suburb; and A Strange Harvest, which explored the worldwide animal mutilation mystery that has haunted the United States and other countries since the 1960s and continues to date. Another film, A Prairie Dawn, focused on astronaut training in Denver. Linda has also produced documentaries in Ethiopia and Mexico for UNICEF about child survival efforts and for Turner Broadcasting in Atlanta about environmental challenges. A few of Linda’s other television productions have included The World of Chemistry for PBS and a two-hour special, Earth Mysteries: Alien Life Forms, in association with WATL-Fox, Atlanta. Linda was Supervising Producer and Original Concept Creator for UFO Report: Sightings financed by Paramount Studios and the Fox network in Los Angeles. Its first broadcast was in October 1991, which was expanded into the Sightings series on Fox. Linda was an honored medical producer in Boston’s WCVB Station Excellence Peabody Award. As Director of Special Projects at the KMGH-TV station in Denver, Colorado, she received the Aviation & Space Writers Association Award for Writing Excellence in Television, a Chicago Film Festival Golden Plaque for A Radioactive Water, Colorado’s Florence Sabin Award for “outstanding contribution to public health” and several dozen other local and regional awards, including Emmys. She also worked as Director of International Programming for Earthbeat, an environmental series broadcast on Turner’s WTBS Superstation in Atlanta, GA.
Linda has traveled in Venezuela, Peru, Brazil, England, Norway, France, Switzerland, The Netherlands, Yugoslavia, Turkey, Ethiopia, Kenya, Egypt, Australia, Japan, Canada, Mexico, the Yucatan and Puerto Rico for research and productions. Linda has written four books: Mysterious Lights and Crop Circles, 2nd Edition, September 2002, about eyewitness accounts and scientific research of biophysical and biochemical changes in affected cereal crops by complex energy systems; An Alien Harvest © 1989, about the worldwide animal mutilation phenomenon; Glimpses of Other Realities, Volumes I and II © 1993 and 1998, about U. S. military, intelligence and civilian testimonies concerning non-human interactions with Earth. Linda is also asked to speak as an investigative reporter at national and international conferences and symposiums, including NASA’s Goddard Space Flight Center, and has been interviewed on a Larry King Live special, CNN; The O’Reilly Factor, Fox; Sightings and Strange Universe, Fox; NBC’s The Other Side; Britain’s Union Pictures, ITN and BBC; The Discovery Channel special Evidence On Earth; the NBC network special, Mysterious Origins of Man and the 2009 – 2014 Ancient Alien series on the History Channel. Earthfiles is an award-winning news website where experts, eyewitnesses and viewers share the latest updates in earth and astronomical mysteries. Beginning in 1999, Earthfiles now has more than 2,000 science, environment and Real X-Files reports in chronological sequence that include more than 20,000 images and documents in the growing Archive and ever-increasing current news. The in-depth reports go beyond the 6 o’clock news. Some articles are aggregated under the Creative Commons License. If you feel this article has been re-published outside of these parameters, please contact us immediately to resolve any issues. We respect copyrights and address any concerns promptly. Real reporting digs for the truth. It is our hope to find it. Share it. Red Pill Reports is your prescription for truth. 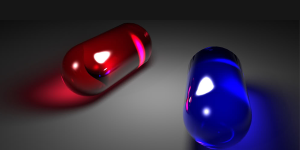 Red Pill Reports Syndicated Radio Show was live in 2014 / 2015, and will resume soon. Illegal Mortgage Securitization – Did Banks Gamble Your Home & Distort Chain of Title? 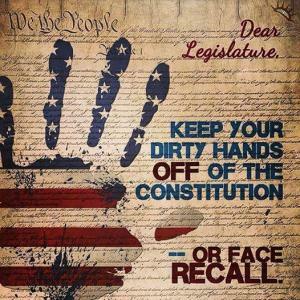 U.S. passports on verge of elimination? Enter your email to subscribe to the Red Pill Reports Newsletter. been compromised. This is where you will find links to articles and documents that will help you determine if your mortgage is compromised, and show what you can do about it. Scroll down for document links or go to Documents Page - Mortgages or Mortgage Crisis Articles - Mortgage Crisis. Illegal Mortgage Securitization - Did Banks Gamble Your Home & Distort Chain of Title? The Red Pill Reports does not necessarily endorse guests views. Offered for entertainment or education purposes only. 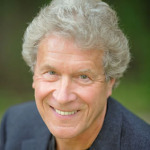 Show Info 5-27-2015 – News, Guest Kenneth Schortgen Jr.
sigTRUTH - Alternative Media search for liberty minded people on liberty minded topics. News reporting can inform and educate. Accurate, truthful disclosure enlightens humanity and lays a foundation for peace and freedom.